People are weird, a fact all of us know. But out of these weirdos, there are those who actually cross the line and try things which in general are considered strange or even sacred. Meet Amber Luke, the 23-year-old woman from Austria who is getting famous due to her insane body transformation. Tattoos, split tongue, blue ink eye pigment and what not, this lady has gotten it all. 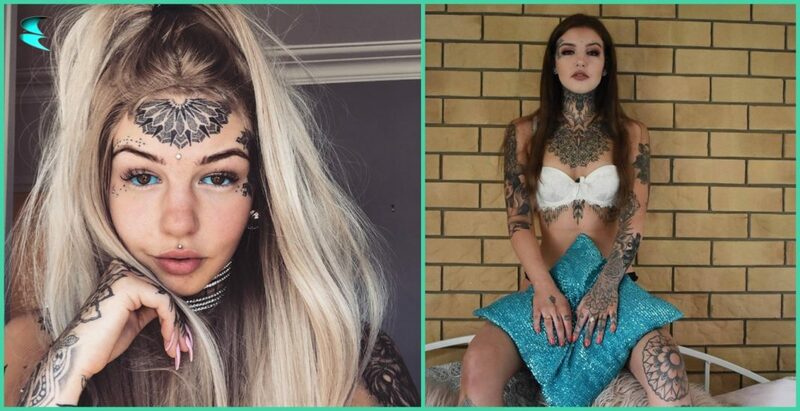 With more than 340 posts on Instagram, Amber Luke is gaining hell lot of attention these days. 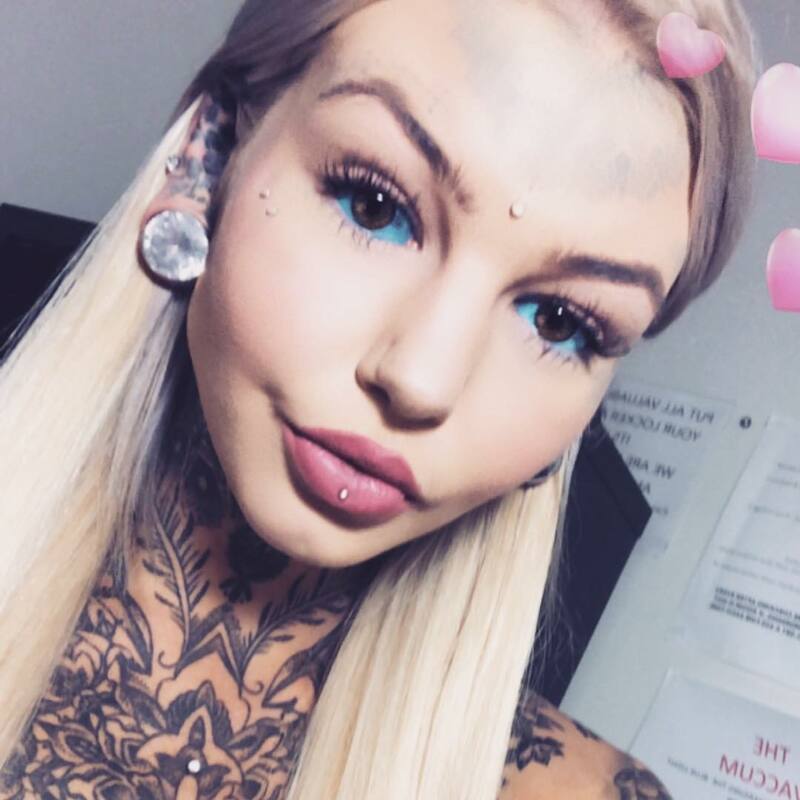 She works as a tattoo artist and a body piercer and is constantly working on her body transformation and making her fall in love with her. 1. 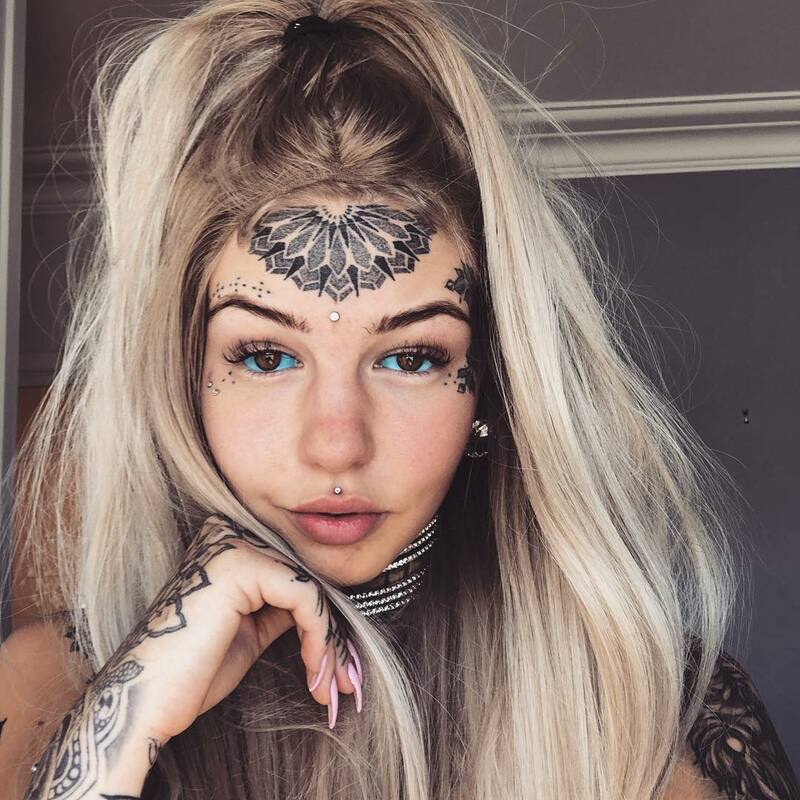 This woman and her tattoos can literally make anyone fall in love with her. 2. No idea if the tongue split is weird or not but she indeed is gorgeous! 3. Just look at those blue eyes. 4. 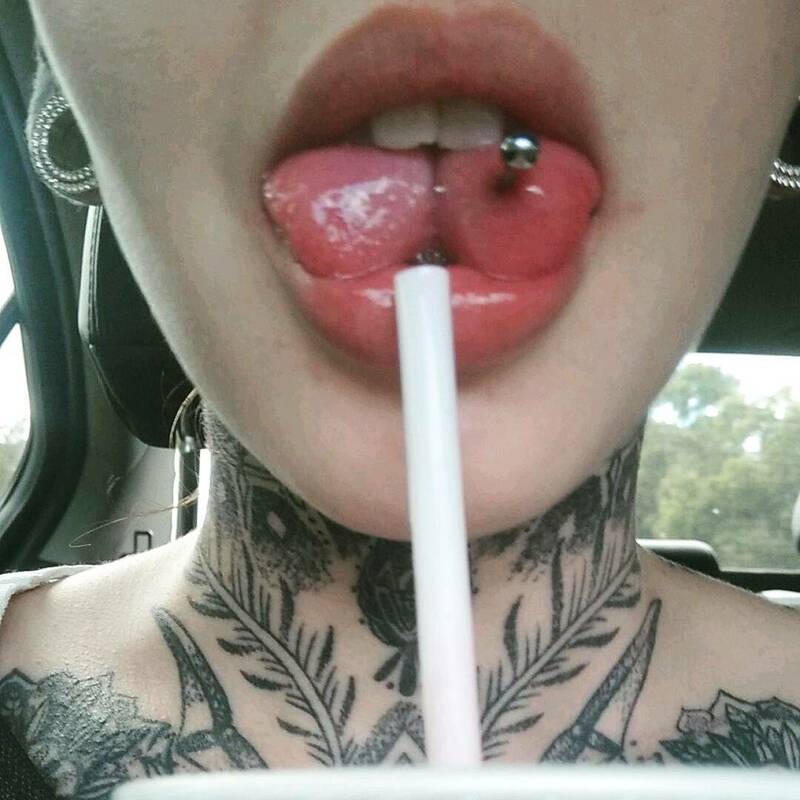 This 23-year-old woman and her split tongue are literally creepy.